This entry was posted in puppet and tagged facts, puppetdb by Ben Roberts. Bookmark the permalink. For reference, the Puppet Enterprise defaults set node-ttl to 7d and node-purge-ttl to 0s, meaning that nodes will be deactivated after 7 days and removed immediately after deactivation. >>node-purge-ttl to 0s, meaning that nodes will be deactivated after 7 days and removed immediately after deactivation. Did you ever figure out how to remove the stale facts? I have a similar problem with AWS EC2 network interface facts which are named after the MAC address so every new node that connects to puppet generates a new, useless fact! Removing the stale facts is as described above. 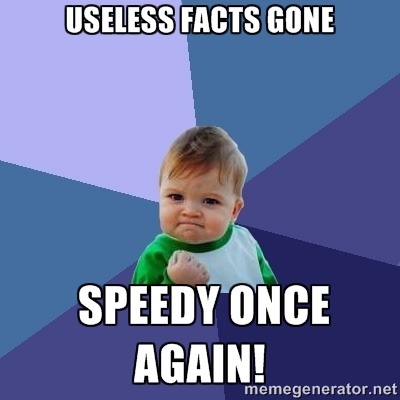 I think you’re asking more about classifying which facts are stale? In my case the network facts aren’t stale, there’s just a massive number of network-related facts because of the number of hosts reporting in. I’m thinking of the interface_*, ipaddress_*, macaddress_* etc facts. 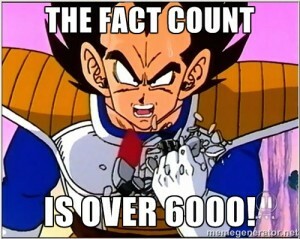 In the case of AWS I imagine you’re getting one set of these facts per node. Each time the node checks in it will update the facts stored about it to the latest values. If for any reason you change the network interfaces on the node the old facts should be removed at this point. So I can only imagine if you have lots of stale entries in the PuppetDB you’re not clearing up after decommissioned hosts at all? Use “puppet node deactivate $certname” to mark the hosts as decommissioned and as discussed above, set the node-ttl and/or node-purge-ttl to have them completely removed from the database that time after they’re decommissioned. They’ll still show up in the /fact-names call until the entries are totally purged.